Muar, also known as Bandar Maharani is the controversial internet rapper Namewee's hometown. It is located in the northwest of Johor, Malaysia. 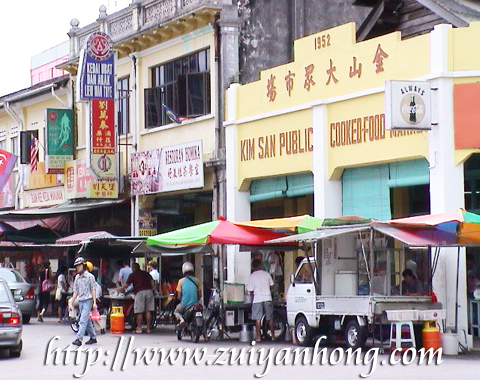 The Historical City of Malacca is just 45 km away from Muar. This is the Sultan Ismail Bridge in Muar Town which stretches across Muar river. The bridge was built in the early 60s. It replaced ferry services after the construction was completed. 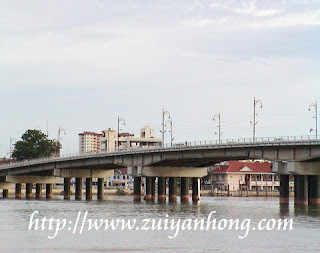 Muar second bridge was built in 2003 to reduce the traffic congestion of Muar Town. The Muar River flows through the states of Pahang, Negeri Sembilan and Johor in Malaysia. It ends up in the Straits of Malacca. 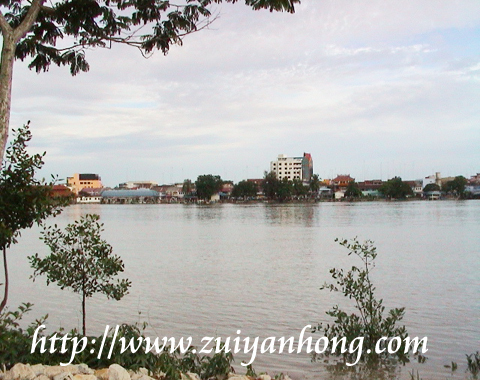 Tanjung Emas is a popular attraction at the estuary of Muar River. There is a 9-hole golf course at Tanjung Emas. Never been there and I hope one day I can travel across Malaysia..